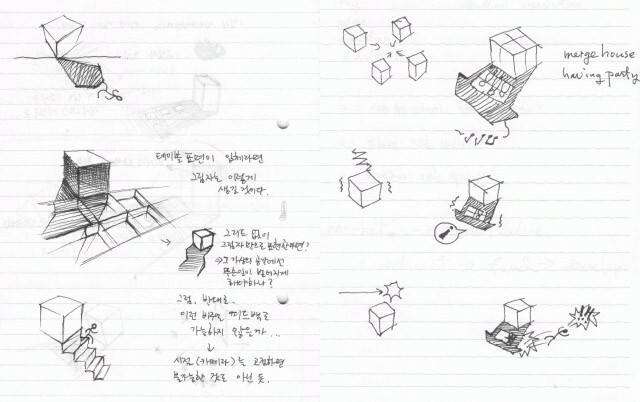 For more prototypes of the project, see here and for sketches see here. Augmented Shadow was created by Joon Y. Moon, a programmer, designer who is exploring the realm of interaction, generative code and motion design on a basis of visual communication design. The project is a thesis project at the Parsons The New School for Design – Download .doc. Credits include Katherine Moriwaki, Louisa Campbell, Marko Tandefelt, Loretta Wolozin, Zachary Lieberman, Anezka Sebek, Nick Hardeman, Stephen Varga, Uros Otasevic, Jenny Tsai, Yongsub Song, Namsoo.